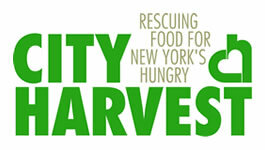 City Harvest will host its 35th Anniversary Gala to support the organization’s work to rescue good food that would otherwise go to waste and deliver it to New Yorkers in need. Chrissy Teigen will be honored at the event on April 24th, 2018. Other honorees include José Andrés, Bill & Wendy Mills, Robin Hood. The event will be hosted by Clinton Kelly. Chrissy Teigen, the 32-year-old model and host of Lip Sync Battle, has become the latest celebrity to announce that she’s quit photo messaging app Snapchat. “I stopped using snap. The update, the constant complaints of people not being able to find me, plus the Rihanna poll…no bueno,” Teigen wrote to her almost 10 million Twitter followers on Saturday morning. The “Rihanna poll” she mentions is a reference to a huge controversy earlier this month, as Snapchat ad appeared to make light of Chris Brown’s assault on the singer in 2009. “Shame on you,” said Rihanna, as she slammed Snapchat for allowing the ad in the first place. Snap, the app’s parent company, soon apologized, but shares of the company dipped 4% following her post. As far as the complaints of people not being able to find Teigen on Snapchat, that’s a reference to the widely-panned app redesign, which was intended to make it easier to use – but also made it harder to find photos and updates from celebrities and influencers, critics say. Teigen is just the latest celebrity to quit the app. Back in February, Kylie Jenner announced she had quit Snapchat, too: “Sooo does anyone else not open Snapchat anymore? Or is it just me… ugh this is so sad,” she tweeted to her 24.5 million followers. Following Jenner’s tweet, stock in Snap dipped 8%, giving its market cap a $1.3 billion haircut. We’ve reached out to Snap for comment and will update if we hear back. Snap stock is currently flat in after-hours trading. As if she weren’t busy enough as a supermodel, cookbook author, social media comic and mama of one (with another on the way), Chrissy Teigen is the new creative consultant for Pampers. And her new line is perfect for moms and dads who are sick of seeing the same old cartoon prints. Teigen announced in an Instagram post on Thursday that she’ll be the spokesperson for the Pampers Pure Collection, which is ethically made without chlorine bleach, parabens, latex or added fragrances. So not only is it responsible but it’s also way cute and Teigen approved. In the post, her 2-year-old daughter, Luna, shows off her Pampers Pure diaper in the most adorable llama print, and we have to say it’s a breath of cartoon-free air. Stay tuned for more and click on the thumbnails below to see the promotional shoot. Celebrity couple John Legend and Chrissy Teigen are joining the likes of Oprah Winfrey and George and Amal Clooney in supporting survivors of the Parkland, Florida, high school shooting. The Blast reported that the singer and his cookbook author and TV personality wife donated $25,000 to March for Our Lives, the group started by some survivors of the Stoneman Douglas High School shooting. “We stand out among other major countries in the world when it comes to these types of massacres, but also in the everyday gun violence that people have to deal with,” Legend told The AP. “I don’t think that we should accept that as normal. I think we’ve decided that everyone having unfettered access to guns is more important than all of us being safe, and I think we need to reshape that balance a bit so that we’re all more safe. I’m glad these kids from Parkland are saying, ‘Enough is enough,’ and we support them,” John said. Chrissy Teigen is opening up about her pregnancy! The 32-year-old Lip Sync Battle host made an appearance on The Ellen DeGeneres Show on Monday (February 19). During her appearance, Chrissy speaks about attending Ellen‘s star-studded 60th birthday party, as well as posing in the photo booth with husband John Legend and longtime friend Kim Kardashian and her husband Kanye West. Chrissy also reveals she’s expecting her second child in June! She’s struggling to come up with names for her son. Here are some stills from the show and 2 video previews. Long, long ago, just a couple of weeks into Donald Trump’s presidency, Kim Kardashian and Chrissy Teigen offered some hope for Americans: they announced that they were forming a book club, warming everyone’s hearts with the delightful prospect of observing the Kardashians engage in some hard-hitting literary discourse, no doubt accompanied by Teigen’s hilarious tweets. The club was of course always going to be exclusive—sadly, we can’t all cozy up on the couch with Teigen and the Kardashians. Though from the start, the pair used their platforms to make it seem just a bit accessible. Kim, for one, told her millions of followers what it was like to speak to the author of the book club’s first pick, Embraced by the Light by Betty J. Eadie, a ’90s bestseller about the author’s near-death experience. Here’s a never-before-seen footage of their book club that Kim Kardashian posted on her official app! Create & Cultivate is lining up an impressive group of speakers. Model Chrissy Teigen and Jen Atkin are joining Kim Kardashian West and Lauren Conrad as keynote speakers at the Create & Cultivate conference in Los Angeles, California, on February 24, 2018. “Having the opportunity to participate in Create & Cultivate and interview my bff/ girl crush/ force of nature, Chrissy Teigen, in front of a sea of inspiring female entrepreneurs? This is a dream come true! !” Atkin tells ET exclusively. Create & Cultivate is an online platform and national conference designed to bring women together to help them create and cultivate the career of their dreams through education, entrepreneurial inspiration and empowerment. Past celeb speakers at C&C events include Mandy Moore, Jessica Alba, Gloria Steinem, Nicole Richie, Chelsea Handler and Meghan Markle. February’s Create & Cultivate conference, it’s biggest to date, will be held at City Market Social House in L.A. Celebrities expected to attend include Aimee Song, Busy Phillips, Sophia Rossi, Tess Holiday and Justina Blakeney. For more information and to purchase tickets, click here. Even this year, Chrissy Teigen is nominated for the Shorty Awards 2018 in the Snapchatter list. The 10th Annual Shorty Awards will be held on April 15, 2018 in New York. Make sure to vote for her visiting the official site now! Chrissy Teigen built a massive following with just 1 cookbook … and now it looks like she’s ready to build an empire around it. The supermodel just applied to lock down the trademark, “Cravings,” to use on a bunch of home goods. The name comes from her 2016 cookbook “Cravings: Recipes for All the Food You Want to Eat.” According to the docs, Chrissy’s looking to slap “Cravings” on housewares like kitchen appliances, hair dryers, bed linens, towels, comforters, window treatments and more. Chrissy appears to be branching into the blogosphere, too. Docs show she also applied to use “Cravings” for the name of a blog dedicated to homemaking, lifestyle, cooking and, of course, recipes. If you’ve been following along with Chrissy Teigen‘s crazy story about her flight to Tokyo, you’re probably wondering how someone got onto the flight without a ticket. We finally have the answer! Two brothers, who are American citizens, reportedly got onto the flight using the same ticket, which was duplicated. They both were traveling to Tokyo, but had booked flights on separate airlines so they were able to get through security without a problem. One brother had a ticket on All Nippon Airways and the other had a ticket on a United Airlines flight, law enforcement sources told ABC News. The brothers have nearly identical names and used the same ticket to get on the ANA flight, though it’s not clear how the brother with a United ticket found a seat on the ANA plane. The FBI is considering weighing criminal charges against them. Four hours into the 11-hour flight to Tokyo, the plane turned around and returned to Los Angeles.